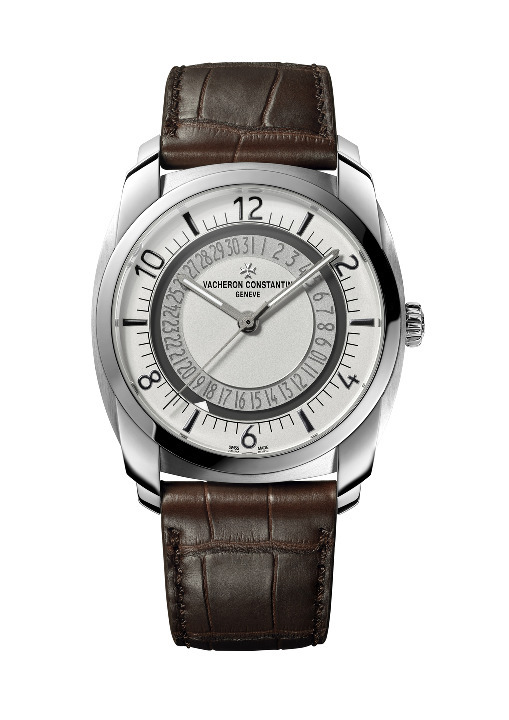 In 2008 Vacheron Constantin launched the Quai de l’île collection. Now there’s a new family member, a stainless steel model, providing a contemporary expression of the watchmaking traditions upheld by the company. With its contemporary design, its distinctive character and its excellence attested by the Hallmark of Geneva, the Quai de l’île collection embodies an avant-garde aesthetic version of watchmaking traditions. The timepiece features a sturdy light stainless steel case, enhanced with alternating polished and satin-brushed finishes. It measures 41 mm in diameter and associates three iconic shapes from the aesthetic heritage of Vacheron Constantin: a round bezel, a cushion-type case and a barrel caseband. This shape in shape design creates an original aesthetic. The case back with is transparent, allowing you to watch the movement. The The Quai de l’île is equipped with the new manufacture self-winding calibre 5100. The movement comprising 172 components was entirely designed, developed and crafted by Vacheron Constantin. It drives hours, minutes, central seconds and date functions. Steadily beating at a rate of 28.800 vibrations per hour (4 Hz) and designed for an active lifestyle, this movement features excellent resistance to impacts as well as a comfortable over 60-hour power reserve guaranteed by its twin barrels. The dial is distinguished by a multi-level construction interpreted in two versions – silver-toned or black – with an opaline finish. Composed of three distinct parts, this display with its depth effects ensures remarkable legibility thanks to its hour-markers and Arabic numerals entirely made of white luminescent material. Another distinctive feature is the replacement of the traditional aperture-type date by a two-level date indication. 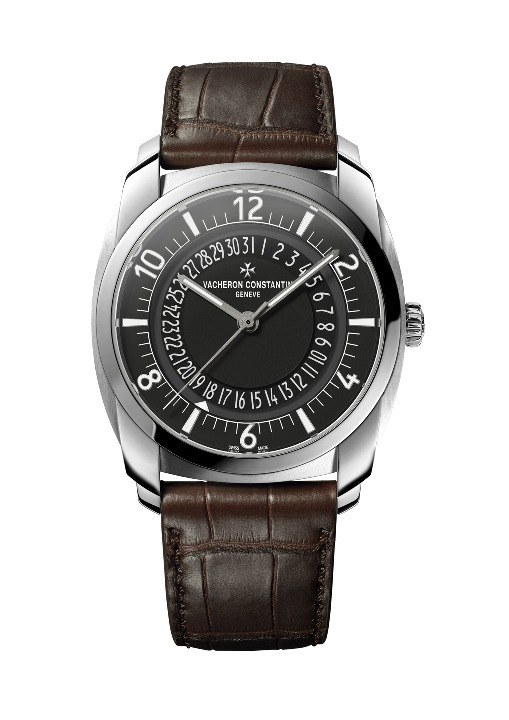 The dial construction includes a transparent mineral glass disc on which the dates of the month are inked. Beneath this glass, the date disc of the movement appears and displays an indicator which points towards the correct date. The watch is water-resistant to 30 metres and will be delivered with two straps – one in brown alligator leather and the other in black rubber.